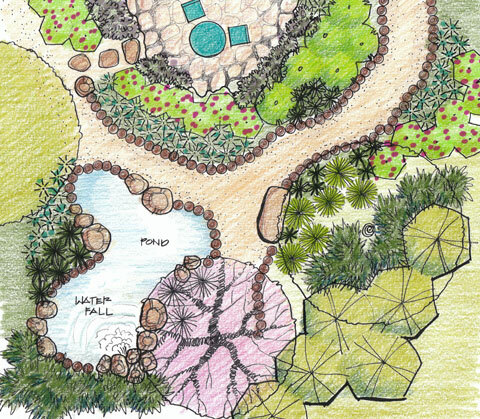 In the schematic design phase, rough sketches are developed to show shapes and locations of landscape features such as a deck, patio, pool, or a trellis as well as focal point plantings. The construction documents phase brings to form how the garden elements look together, and what materials will be used. We provide these drawings for a contractor to install, or can work with our DIY clients to help them complete the project. You’ll receive a personalized booklet with description and care of the plantings growing in your new garden, as well as a list of what will grow well in your particular microclimate. Should your project call for deck construction, stonework or plant installation, we work with the region’s most highly recommended professionals to create your dream garden. To begin your personalized service, call or email us for a consultation.